Have you heard about cough etiquette? 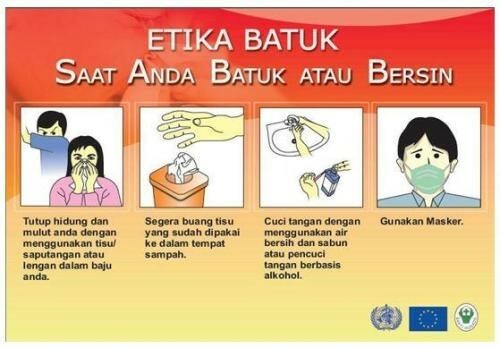 If you ever visit healthcare center like Puskesmas or Hospitals and look around, there must be information about cough etiquette on banner or poster. 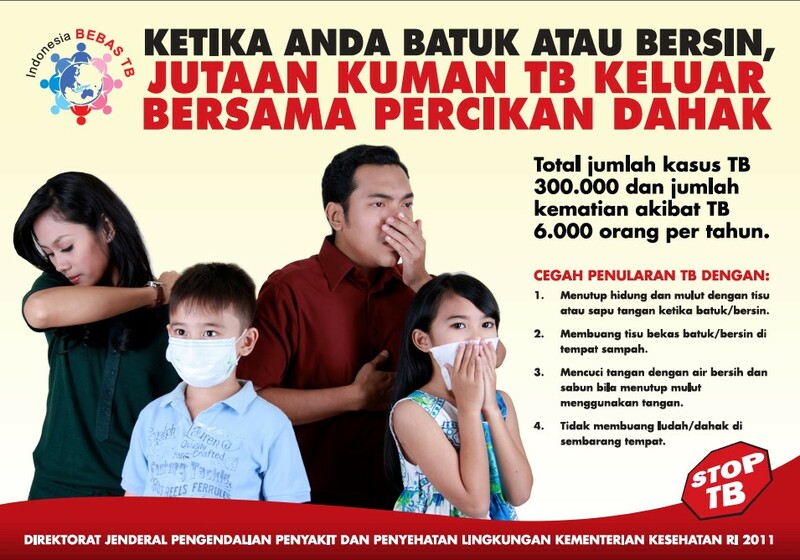 It’s because health information about cough etiquette is essential and important for you who get airborne infection disease such as cough and sneeze or when you at high risk environment like puskesmas and hospital. Cough etiquette is made to protect health people from you who had cough and sneeze. As we all know, when someone cough or sneeze, they produce germs or microbe into the air in thousand to million. The same time people around us breathe the air that already contains the germs that we spread through coughing and sneezing, so for diseases that spread through the air to be vulnerable to be transmitted to others. Therefore, Ministry of Health and World Health Organization, already make policy and guideline about “cough etiquette”. Consist of 4 steps to prevent airborne contagious disease, specially for you who got cough or sneeze. It sounds simple, but this step can prevent our environment from various types of diseases that can be transmitted through the air. Cover your nose and mouth using tissue/handkerchief or inner side your arm. Whenever you got cough or sneeze. Always use masks while still in public and interact with others.